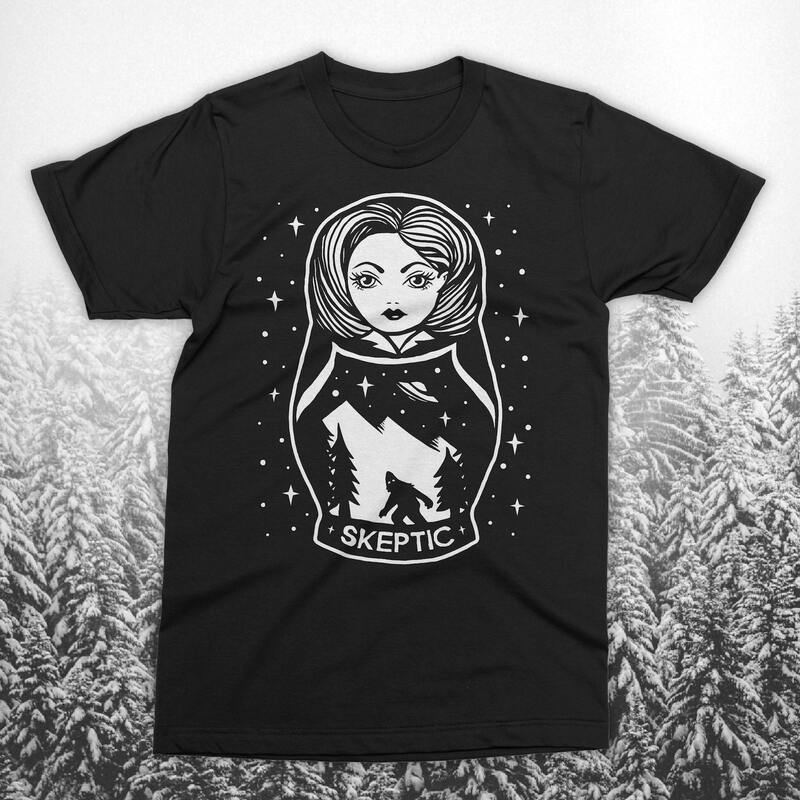 Are you a skeptic or a believer? A Mulder or a Scully? A monster of the week or nine season arc? Whatever you are, the truth is still out there. 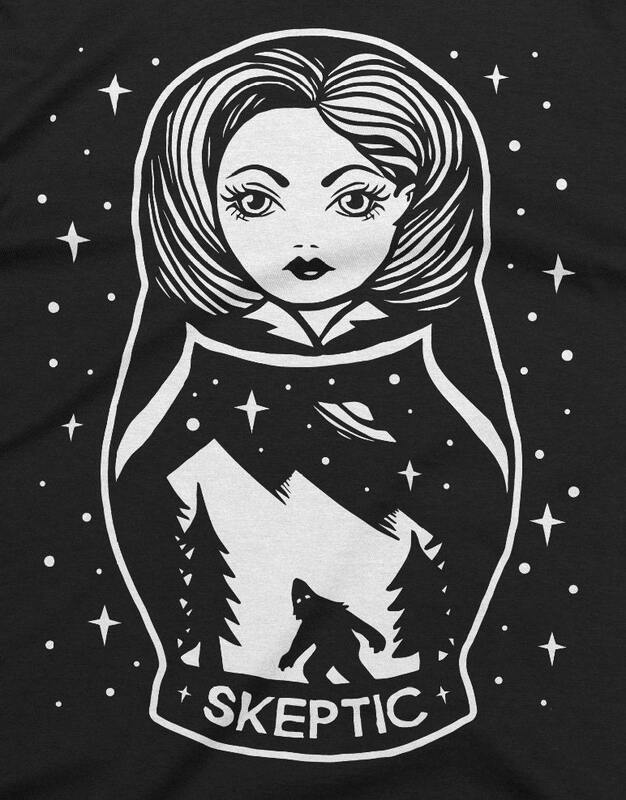 Woe & Shucks is teaming up with Huthmonster to bring you these rad Skeptic Scully Nesting Doll tees. Super soft, slim fitting unisex black shirt is lightweight and 100% cotton. 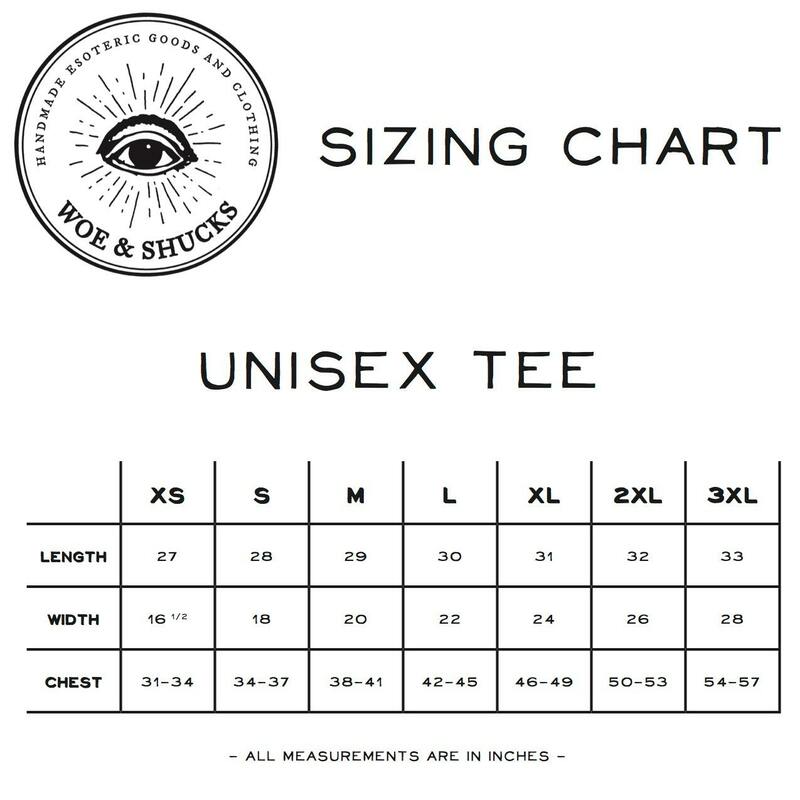 A sizing chart is available in the above images to help you choose your perfect fit. Awesome shirt, love the quality! I will definitely buy from woe and shucks again!